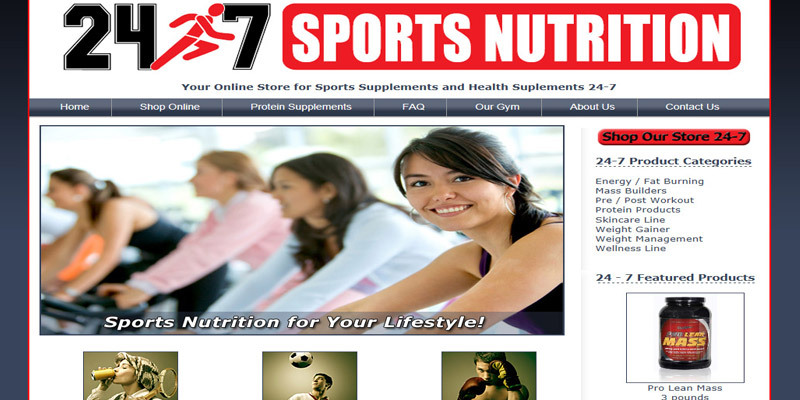 We specialize in custom mobile websites for fitness clubs, health clubs and gyms for small business gym owners. If you own or operate a local fitness center, health club, or gym facility and want to showcase all the great services your health club has to offer, we can help with that. » Smaller gyms may have one or two locations. Most people looking for a health or fitness club want one with a convenient location. 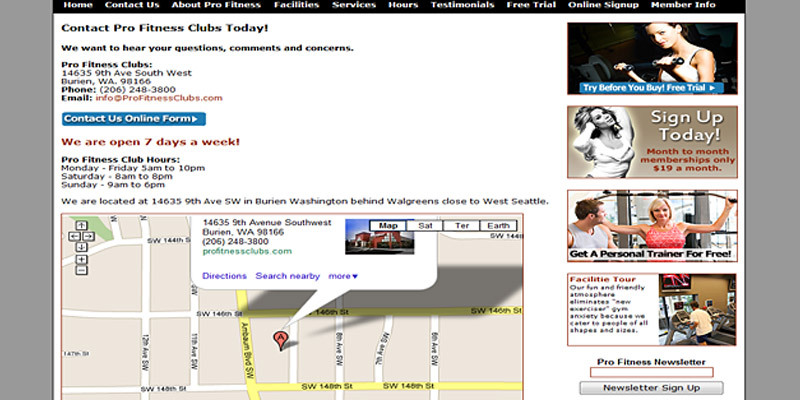 You want to help the people who live or work nearby your gym to find it easily online. Our customized regional search engine optimization (SEO) will help ensure that your health club can be easily found by folks in your area. If you want to sell memberships and other services online, we can help create a Pay Pal account just for that. Or perhaps you want to offer referral perks, online forms, personal trainer appointments, or a link to your Facebook or Twitter websites. We can help with that, too. – Potential customers in your area search the internet daily for a nearby health club that will fit their individual fitness needs. A website that presents a complete and exciting profile of your fitness facilities and gym can help catch the attention of those prospective members. A list of services, map with directions, contact information, slide shows of your fitness club, professional profiles of your personal trainers and other staff members, and more, will make them more likely to call, email, or walk in for a gym tour. – Get new members to sign up online. 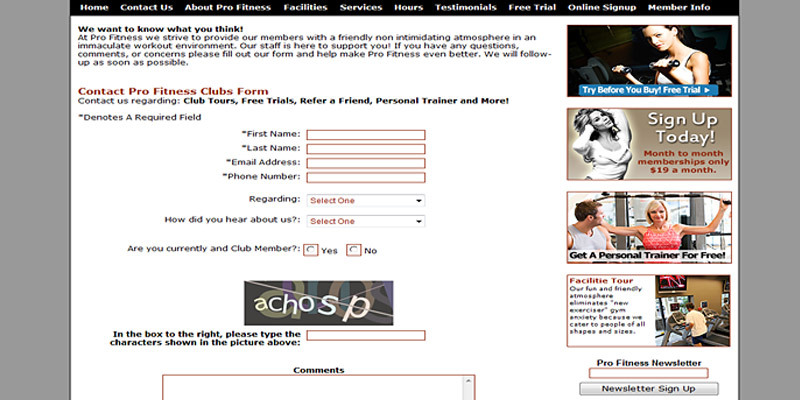 We can help put your current gym member signup system online or start a simple Pay Pal signup area. 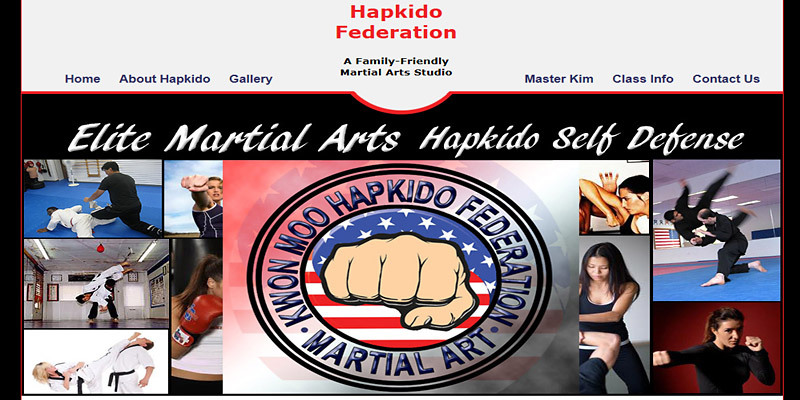 You can list your basic memberships with descriptions and prices so potential members can price shop and then signup easily with a few clicks. On their first visit, for example, new members can sign their paperwork, get a membership card, and go right to working out when they arrive at your gym. Our custom websites put that power in your hands with NO required monthly maintenance fees. – Maximize your marketing budget. Search engine optimization (SEO) is the number one priority with every website we design because SEO can be one of the most cost effective ways of generating leads for your fitness club. We can help set up your free Google account, and our search engine marketing expertise can help make sure your fitness club's website ranks well on Google and other search engines so you can reach the local customers you're targeting. – Email newsletters are easy to add and can be a huge help with your marketing. Brief email updates, reminders of special events or promotions, classes, appointments, fitness tips, and other messages help you stay in touch with your customer base and bring in repeat or referral business. – We have helped a number of Seattle area fitness clubs extend their local branding power by creating an exciting and informative website that showcases their health and fitness club. Take a look as some samples of our health and fitness club website designs below.